It appears we have thrown out our carefully planned menu and now are eating willy-nilly. This morning I gave John a number of dinner choices and he said that he would really like to have the fried scallops dinner again. To that I said, yay! Voila! 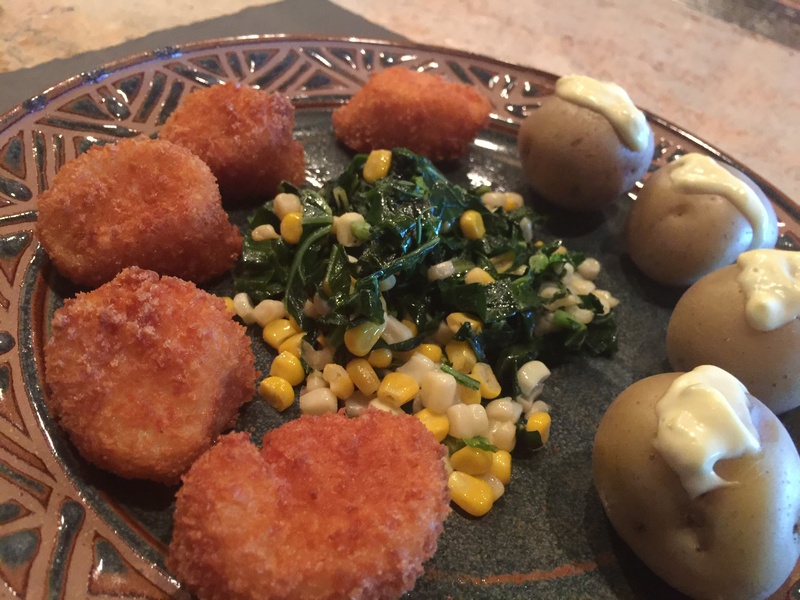 This entry was posted in pescatarian, Shellfish, Vegetables and tagged collard greens, corn, new potatoes, scallops. Bookmark the permalink.